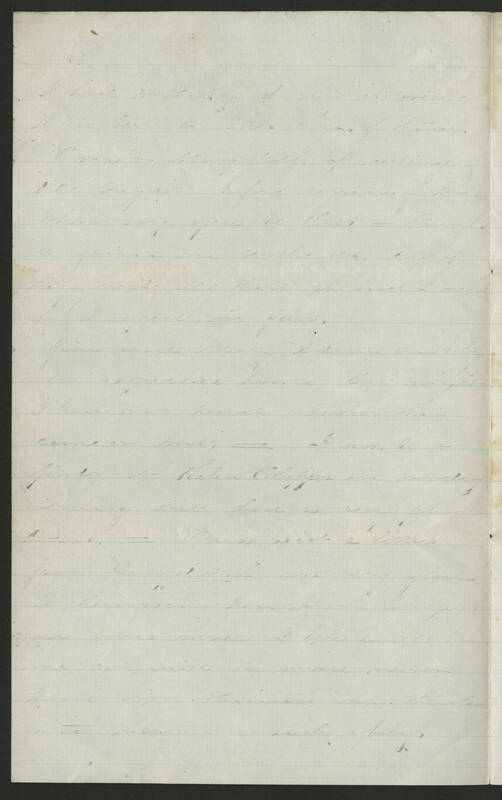 [extremely faint writing:] I had nothing of my [illegible] , but [illegible] of [illegible]. [Orson?] and Mary talk of waiting till August before coming home. What say you [illegible] -- [illegible] is [illegible] with us. but if they [illegible] till then she and I [illegible] (I expect in June from [and? each?]. [illegible] Adams and baby were [illegible] home [illegible] might I have not [illegible] whether that came or not. --- [illegible] it's a priority [illegible] [Helen Clapps?] on Monday evening last, had us [very pleased? illegible]. --- [Orson?] [received?] a [letter?] from "[Arnold? General? illegible]" was very [illegible] to hear from him. [Aunt Emmy?] in [illegible] I believe [illegible] we can find -- [illegible] nearer home in [Missouri?] [illegible] nearer. such a baby.